RE/MAX Capital City has been in the holiday spirit since October raising almost $1,900 and collecting dozens of bags of food to provide three local military families with holiday meals, as well as wish list gift items for the family members. The fundraising efforts kicked off with the annual Fall Bowling Showdown where agents and staff participated in some friendly competition and purchased raffle tickets to help support the three families. A second benefit raffle was organized at the company’s Thanksgiving Luncheon that offered ticket purchasers the opportunity to win prizes donated by local vendor partners. The combined RE/MAX Capital City raffle drawings raised almost $750.00 for the families. 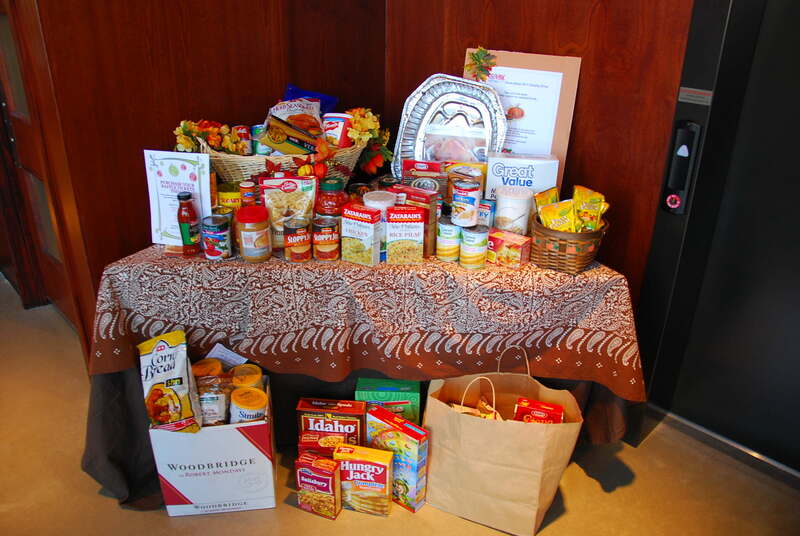 In addition to the raffles, an enormous amount of food was also donated during the month of November. Each RE/MAX Capital City office – Austin, Round Rock and Cedar Park– personally delivered the collected food to our chosen families to ensure they received a well deserved Thanksgiving meal. 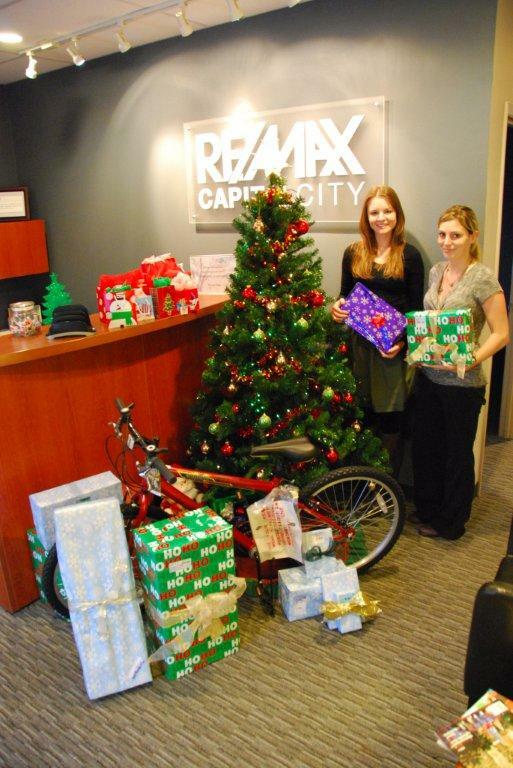 December was another month of giving and sharing at RE/MAX Capital City. Food donations were still being taken at the three offices in Austin, Cedar Park and Round Rock. 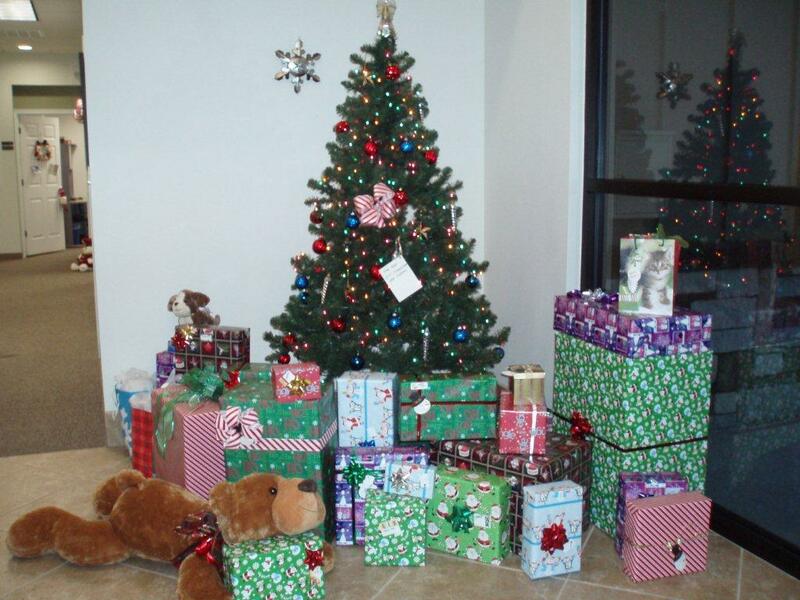 In addition, each office set up a Christmas “Giving Tree” with wish list items for our families. Due to the generosity from our agents and staff, gifts fill the perimeter off all three trees. “Our families were so appreciative and grateful when we delivered their food for Thanksgiving. I can’t imagine what they are going to feel like when they receive all of their gifts. I wish we could see the looks on their children’s faces when they wake up Christmas morning. This is what the holidays are about; sharing your blessings with others”, says Shanna Schneider, Marketing Director for RE/MAX Capital City. RE/MAX Capital City wrapped up its philanthropic efforts with a silent auction at its Annual Christmas Party. All auction items were donated by company agents and staff as well as local vendors. By night’s end, the auction raised over $1,100. RE/MAX Capital City will use this money to purchase additional Christmas gifts and food items for the families. During this holiday season, RE/MAX Capital City raised almost $1,900 in cash. The donated money will be divided between each family to purchase any remaining items that they may still need. “We could not have raised this amount of money or collected as much food as we did, if it weren’t for our generous agents, staff, friends, family and local businesses. We are honored and proud to give back to our local military families as they continue to sacrifice, serve and give for our country”, says Jeff Osborne, owner/broker for RE/MAX Capital City. For more information about RE/MAX Capital City, please visit our website at http://www.capitalcity.remaxtexas.com/. Food collected at our Round Rock office. The Christmas Giving Tree at our Austin office.